You know how we like the mountains. We’d rather never leave our place in the backwoods in Bieszczady, yet we did it especially for you! To bring you practical tips and tricks for better daily grooming routine, we went to the seaside to meet Majki, ZEW for men expert who has extensive experience in barbing – no news to his everyday clients at the Old School Barbershop in Gdynia. Together with Majki we’ve created a series of videos on ZEW for men products. We explain how you should use them for well-groomed (facial) hair and face and body. Learn about the tricks of barbering. Let’s start our Barber’s Guide! In the first episode of “This is how you do it! Barber’s Guide” Majki, ZEW for men expert, tells you how to shave quickly and well using our Shaving Soap. This time we and Majki, ZEW for men expert, have a lesson for those of you who sport a beard themselves! Do you know how to prepare it for brushing? Or why you should use a beard soap? You’ll find the answers in the second episode of “This is how you do it! Barber’s Guide”. How do your brush your beard with a palm brush to add volume to it? In the third episode of “This is how you do it! Barber’s Guide” Majki, ZEW for men expert, tells you all about the best way to use your beard brush. With just a little bit of balm your beard will stay moisturized, shiny and well-shaped all day long. Tune in to hear new beard tips from ZEW for men expert, Majki. Apart from barbering, ZEW for men expert, Majki’s daily jobs include working with hair at Old School Barbershop. In this episode of “This is how you do it!  Barber’s Guide” he talks about the advantages of using ZEW for men Hair Soap. In the previous episodes of “This is how you do it! Barber’s Guide”, we guided you through the use of soap, balm, and brush to groom your hair and beard. Now we’ll have a look at the ZEW for men Face and Body Soap. Bearded men, barbers, those with a head of hair and those with no hair whatsoever: it’s time to learn how to use it. After all, we have different skin than women, mainly on the face. You like useful accessories? In this episode ZEW for men expert talks about our 3in1 soap. With this stick, you can stop looking for a bunch of products to get clean head to toe. ZEW for men 3 in 1 Soap will do for them all.